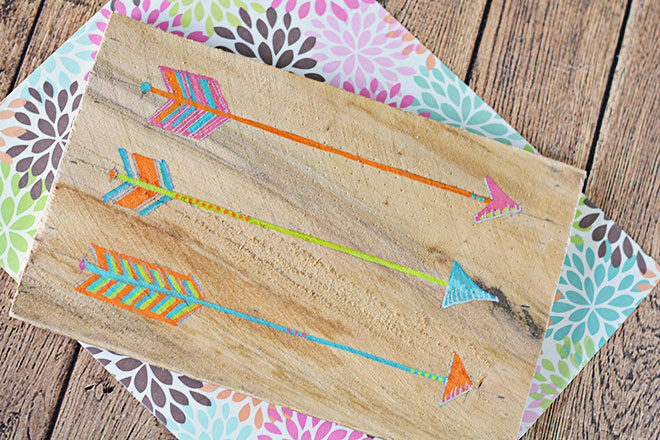 This adorable wood pallet plank with painted arrows is easy, cute, & fun! I plan to make some more of these for my kid’s rooms. 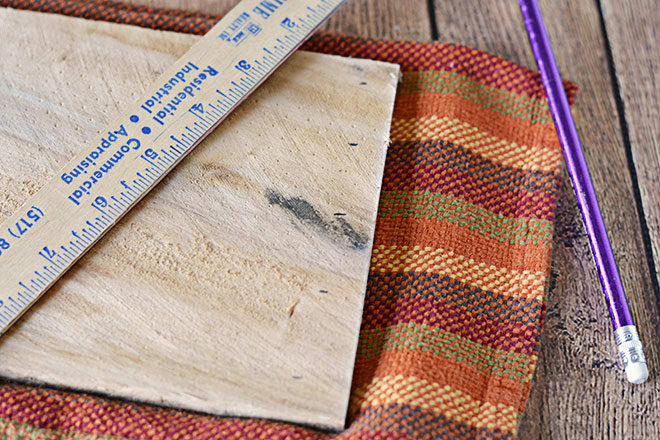 This particular wood plank measures about 9.25″ x 6″. But you can easily make this craft in any size you want. 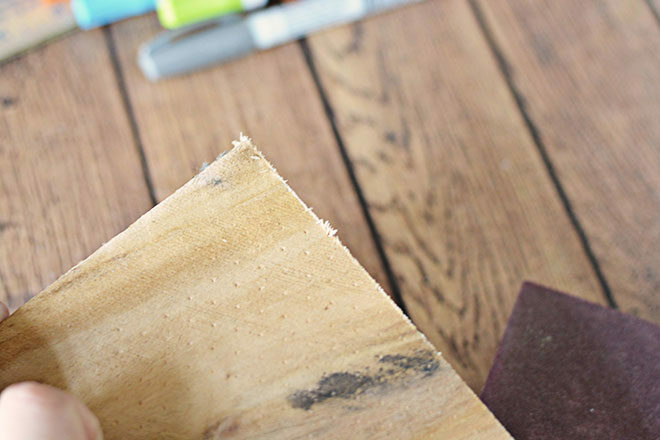 Sand your board if desired/necessary with a sanding block or sandpaper. I had a few rough edges I wanted to remove from cutting. Initially, I thought I could add a little margin and then just divide my board, but as you can see, that didn’t work. So instead, I erased those marks and I marked my board at 3″ (half) and then 1.25″ above and below the halfway mark. 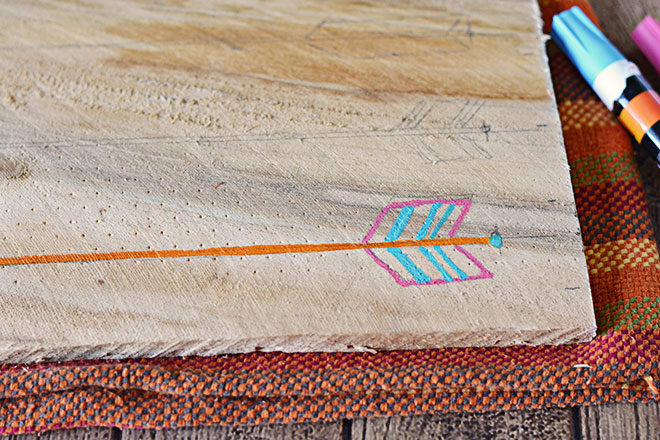 Draw small marks on both ends of your board and then connect them with a ruler. Now you’ll need to add a margin on the right and left side, about 1″ or so, and mark it with a pencil. This is where you’ll start/stop your arrows. 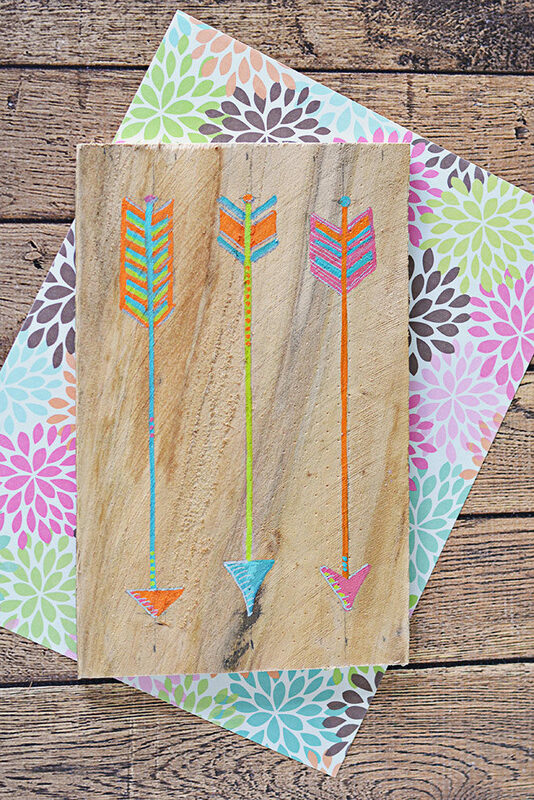 I googled “Arrow Doodles” to find inspiration for my arrow designs. 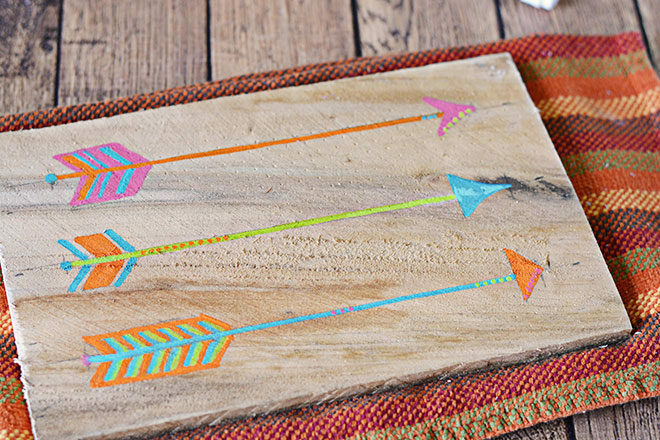 Using inspiration you find, draw arrows onto your board with a pencil. Lightly draw so you can erase lines later if necessary. Break out your paint pens, following the directions on the package to get them working, and start painting! I went over most of the colors twice to deepen/darken them. Follow with adding some accents and lines with the silver metallic marker. 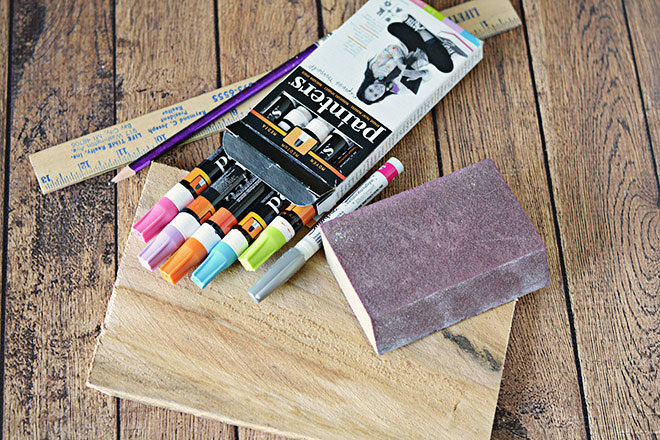 Let dry and remove any pencil lines with an eraser. And there you have it! How cute is that? 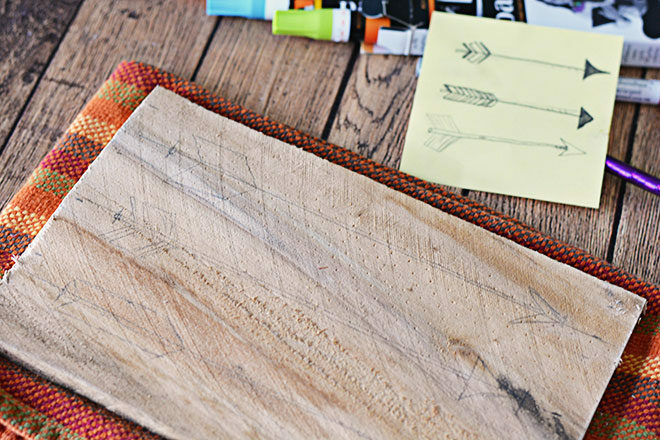 Another cute idea would be to do an additional plank and sketch a feather to make a set. Do you love crafts and DIY projects? Tell me what you think in the comments below ↓.